“We found that happy people follow a particular pattern when spending money after their essentials are paid for: They save or invest about 25% of it. They take about 12% and earmark it for charities, religious organizations, or gifts for other people. And they spend about 40% on meaningful life experiences. Those are the three most salient characteristics of happy spenders“. They say money can’t buy happiness, but who hasn’t pictured how wonderful life could be if you bought that must-have tech gadget or new set of wheels? Of course, you’ve probably also experienced the letdown that accompanies the realization that such purchases don’t actually provide the lasting euphoria you’d imagined. And, somehow, even though we know saving money will make us happier in the long run—by helping us afford that down payment on a home or ensuring a more secure retirement—it’s much more difficult to psych ourselves up to save instead of splurge. 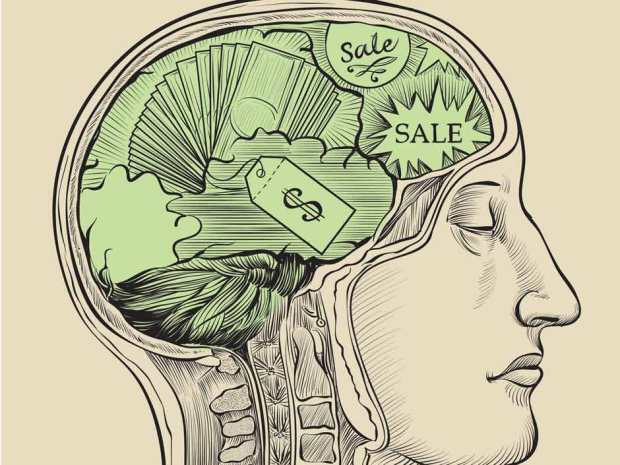 In other words, the human mind doesn’t always work in our best interests when it comes to spending decisions. But the good news is that scientists are trying to tackle the problem—and uncover how we can retrain our brains to make better choices. Curious to hear the results, we tapped Howell to share with us the main takeaways from his research—and divulge some of his favorite psychological tricks for making smarter money moves. What are the key traits of people who are happy with their spending decisions? To maximize happiness, the very first thing you need to do is get out of credit card debt. You may get some momentary joy from making a purchase you really want, but the financial stress of debt will make you worse off—it’s pretty much the worst thing in the world for your happiness. Second, we found that happy people follow a particular pattern when spending money after their essentials are paid for: They save or invest about 25% of it. They take about 12% and earmark it for charities, religious organizations, or gifts for other people. And they spend about 40% on meaningful life experiences. Those are the three most salient characteristics of happy spenders. You mentioned that spending on experiences—rather than stuff—tends to makes us happier. Why is that? Experiential purchases make us happier than material items because of the advantages that are inherent to experiences. And all of the research shows that if you pick material items that meet those same needs, they’ll make you just as happy. For example, my grandmother loved to play board games. You have to buy a material item—but it’s one that facilitates a relationship. Material items that bring us closer to friends or family or bring a sense of competence, like books or musical instruments, those make us just as happy. They mimic what a life experience does naturally. I’d recommend asking yourself these questions: Is this purchase happiness-oriented? Is it going to bring me closer to friends and family? Is it going to make me feel competent? Is it going to express who I am? Am I doing this because of my internal values? If the answers to those questions are yes, you’re probably fine to buy it. Why would someone splurge on things that don’t actually make them happy? I think the most likely reason would be something we call “transformation expectation.” It’s this really weird experience people have while shopping, where they think a purchase is going to transform their life. The problem is that it often doesn’t. In our research, when we ask people to recall the last time they spent money on something that they thought would make them happy, a typical story is: “I went into the mall, and I envisioned myself buying these shoes. I thought they would make my life so much better. I thought that people in my social network would be impressed.” They expect people will notice and compliment them on those shoes—and then they’re quite disappointed when it doesn’t happen. What happiness research shows is that when you put your joy in the hands of other people, you’re not going to be as happy as when it’s internal and true to who you are. Is it possible to trick our brains into not overspending? There are things you can do to limit the pleasure of buying in the moment. For example, people report that shopping is often an emotion-fueled experience. But what we found is that there’s something about tracking your spending that takes the emotional, addictive quality of shopping away—and makes it rational. So one way to train your brain is to instill a rule that, any time you spend, you have to write it down. We found that just the knowledge that you have to track a buy makes it more difficult to make those spur-of-the-moment purchases. You’re much more likely to spend your money in wise ways. There’s also research that shows spending money is much easier when you’re paying with credit. People use credit cards for convenience reasons, which means there’s not that immediate, painful experience that makes you think twice about the purchase. So if you think you’re not managing your money well, the most obvious place to start is with managing your cash. Psychologically, it’s more difficult to overspend when using paper bills—you’re not pushing the pain into the future. Most of your research focuses on spending. But what have you found to be the biggest barriers when it comes to saving? Gallup came out with a poll that found most people actually report more enjoyment saving money than spending it. But there’s a difference between enjoying something and actually doing it: I might say I enjoy running, but I tend to eat more doughnuts. So I think the problem is that most people don’t have a goal for their savings. There is a ton of research that shows one of the best things you can do is have a tangible goal to save for. That’s because we get a lot of anticipatory happiness from saving: We think, “I’m going to Paris. It’s going to be awesome. I’m going to eat cheese.” And that brings us lots of joy. But if you don’t have anticipatory happiness, you’ll say, “I want to enjoy the fine things in life right now.” People need to have a vision—that’s why all the marketing materials for retirement illustrate the kind of life you want to experience in your golden years. Bottom line: You’re much more likely to be successful at saving if you have a clear goal.